Welcome to Marhaba Palace in Port el Kantaoui. 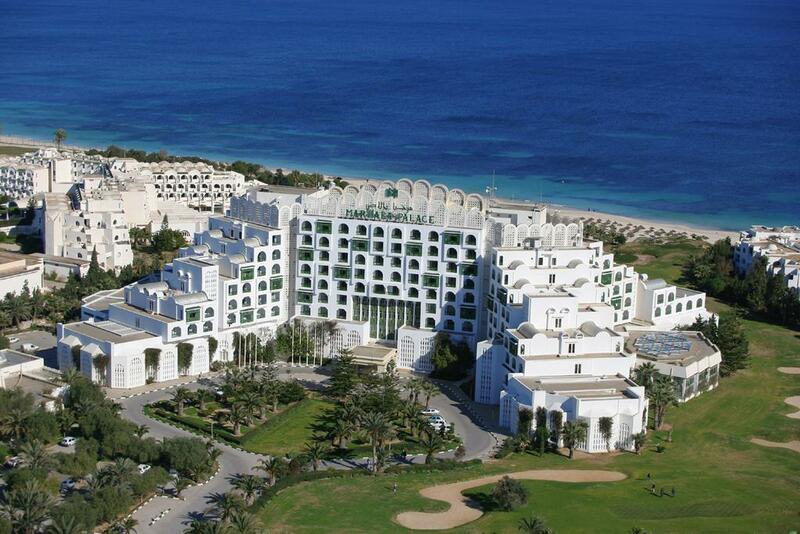 The sandy beach is 50 m from the hotel and the town of SOUSSE is 7 km away. 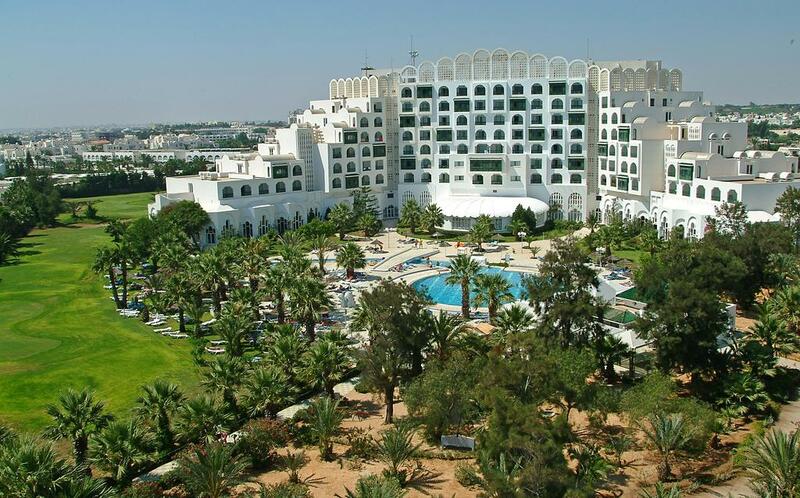 The closest city to the hotel is MONASTIR (30 km). Other cities: TUNIS (130 km). 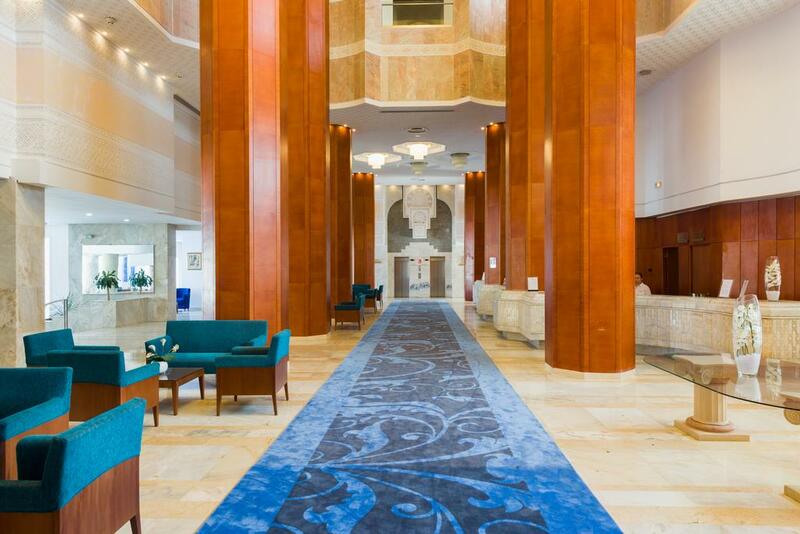 To make your stay more comfortable air conditioning, a lobby, a reception, 4 elevators and a coiffeur are available. The staff in this 5 storey hotel speaks German, English and French. For guests who wish to be mobile, car rental can be arranged. A playground for children is available. The hotel features a fresh water swimming pool with a separate children's pool. A poolside bar is on site at the hotel where guests can unwind with a drink. Sunshades and sunbeds are available free of charge at the beach. Sunshades are available free of charge at the pool. The hotel is within easy reach of bars and restaurants, tourist information, bus stops, taxi stands and shops. 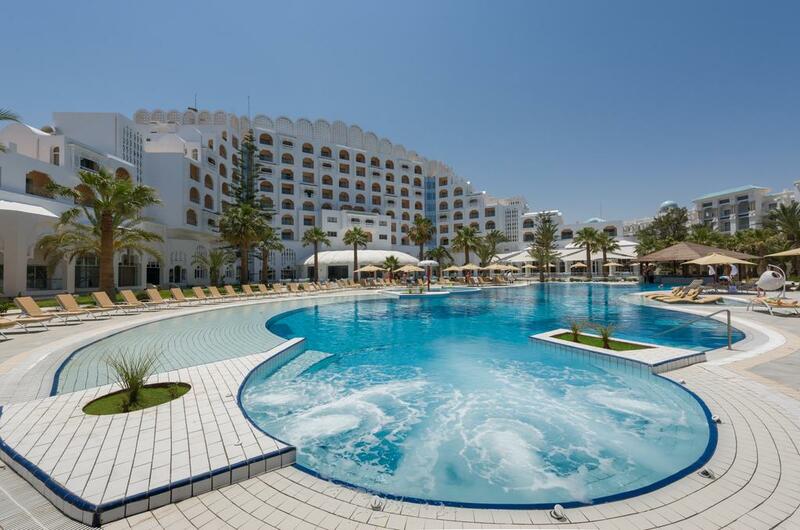 Distance from the hotel to: train station (8 km), supermarkets (3 km), airport NBE (30 km), Water Palace (2 km), MEDINA OF SOUSSE (8 km), airport MIR (20 km), ROMAIN THEATER EL JEM (50 km) and MARINA PORT EL KANTAOUI (1 km). The hotel ensures that disabled guests are catered for with the following amenities: a ramp or level access and wheelchair suitable lift. For your entertainment the hotel features a TV lounge. Vehicles may be parked in the parking lot. Honeymooners are welcome at Marhaba Palace where they can enjoy the great room views. 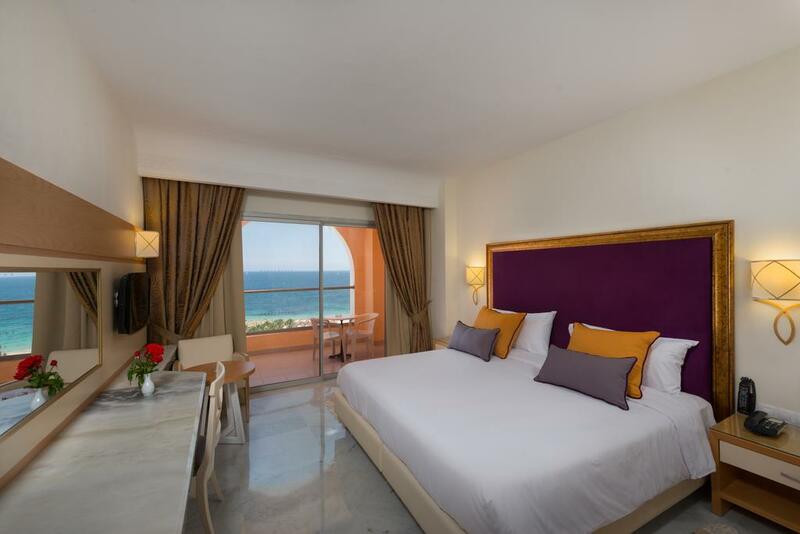 For convenience the hotel offers a safe, laundry service, concierge, medical care, room service, maid service, currency exchange, secure entry system, wake-up service and ironing service. Internet access is provided in internet rooms, at wifi-hotspots and at internet terminals. 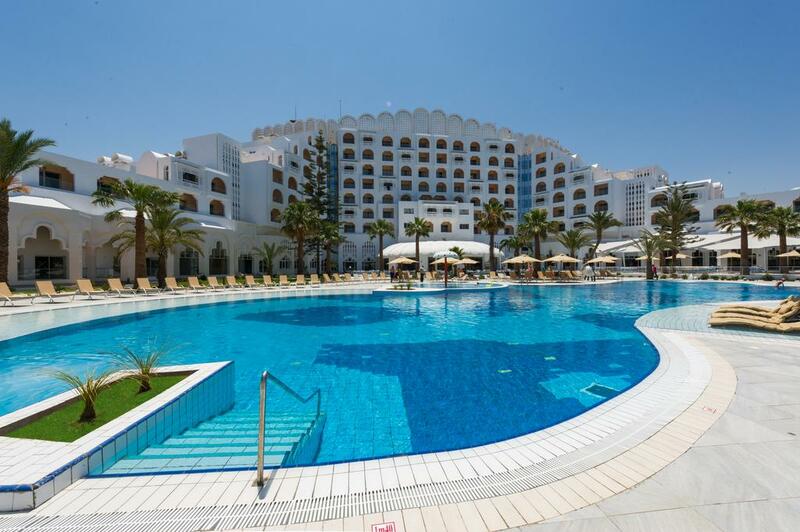 This family friendly hotel offers child animation, babysitting service and a children's pool to ensure a comfortable stay for parents as well as young guests. Reception hours: 24h Service. The Hotel offers a conference room. The hotel has 4 restaurants. A snack bar is also available throughout the day. Evening drinks can be enjoyed at the lobby bar. Halfboard: Halfboard includes breakfast and dinner. Halfboard Plus: Halfboard Plus includes breakfast. 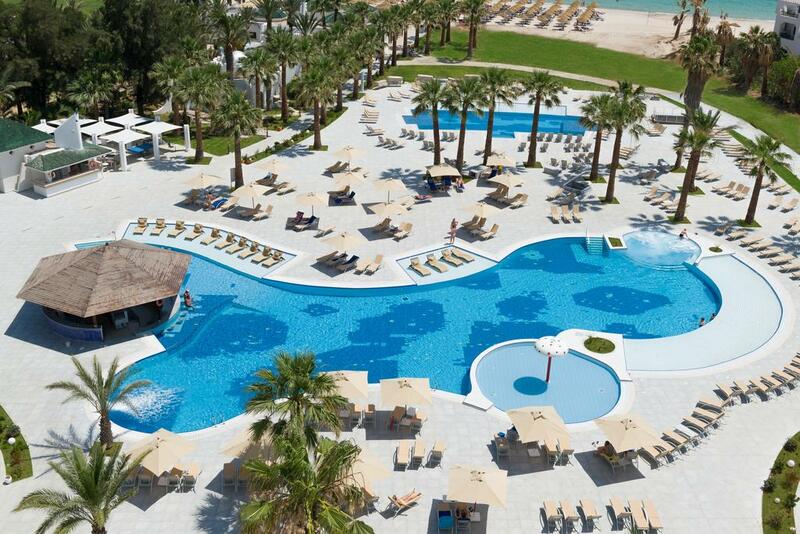 At Marhaba Palace recreational amenities include a spa, a hamam and a sun terrace. Activities such as miniature golf, animation programmes, billiards, a game room, table tennis and darts are offered at the hotel. Guests who wish to be active on holiday can enjoy activities such as beach volleyball and exercise in the fitness room. The nearest golf course is 1 km away. Water sports such as water skiing and jet skiing are available at the beach by local providers. The hotel offers the following , for guests to enjoy (weather and season permitting): live music and evening shows.